Editor’s Note: This is a guest post by Catherine Doyle, a graduate student in NC State’s Department of Plant and Microbial Biology. 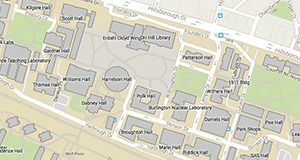 Doyle is preparing to spend several weeks in Tanzania, doing field work related to a research effort aimed at tackling a disease that threatens the livelihood of people through sub-Saharan Africa. In our ongoing Research Matters series, NC State researchers address the value of science, technology, engineering and mathematics. 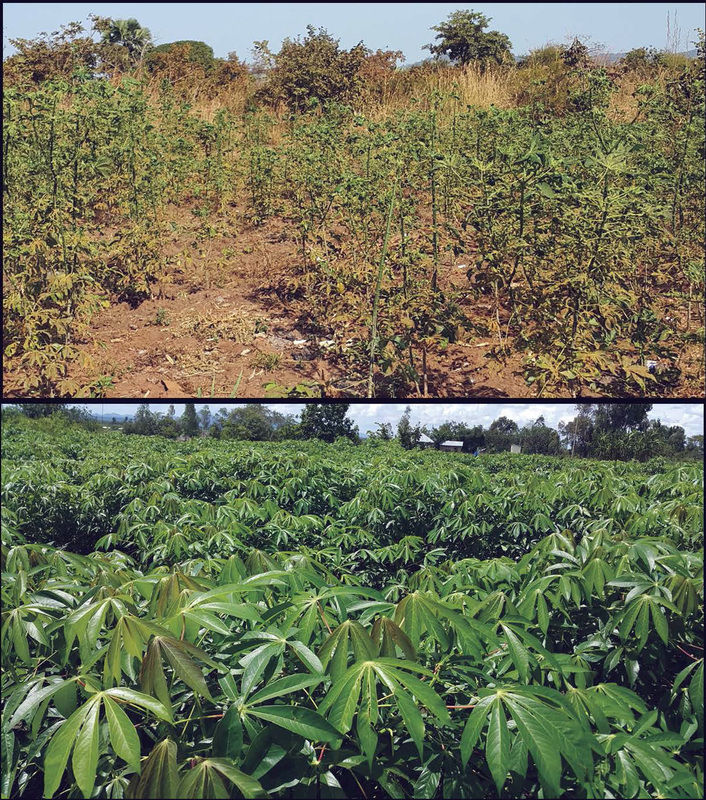 There is a stark difference between fields of healthy cassava plants (at the bottom) and those affected by cassava mosaic disease (on top). It’s a difference that can mean life or death for the millions who rely on the crop. Photo credit: Joseph Ndunguru. Click to enlarge. When you start talking about food security, you have to have to think about disease detection and management. That’s what I’m thinking about as I get ready to leave for a cassava field survey in southern Tanzania. You might know cassava (Manihot esculenta Crantz) as tapioca, or a thickener in pies and bubble tea. But for over 800 million people in Africa and Asia this crop of tubers is their main source of food and income. For example, according to the UN’s Food and Agriculture Organization, as of the late 1990s, cassava roots were the single largest source of calories for 40 percent of the population in Africa. In sub-Saharan Africa, cassava is grown by smallholder farmers, many of whom are women. It is estimated that cassava consumption in that region amounts to approximately 80 kilograms per person per year, making cassava their most important staple crop. Cassava is drought resistant, grows in poor soil, and can be stored for long periods underground. It is often the only crop to survive war and conflict. 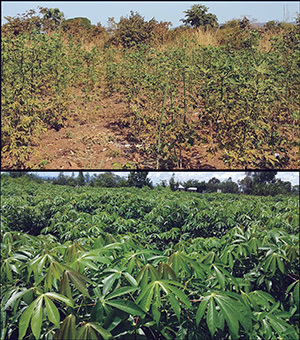 The resilience of cassava makes it an insurance against famine. 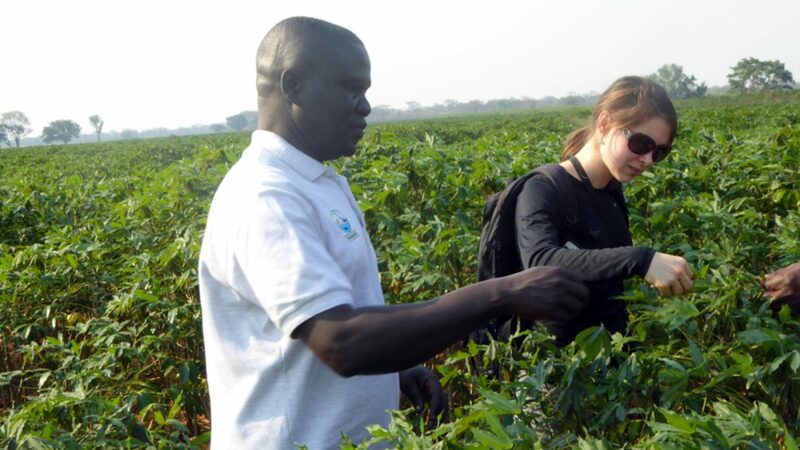 As the basis of food security in Africa, surplus production of cassava provides farmers with a way out of poverty and the ability to have a better standard of living. But cassava is facing a major threat. The cassava crop is devastated by cassava mosaic disease (CMD), which can result in up to 100 percent losses in severely infected fields. In addition to the threat this poses to those who rely on cassava to avoid starvation, CMD can cause up to $2.7 billion in economic losses annually. You can tell when CMD arrives in a field. The leaves of the cassava plants shrivel and curl as they are covered in whiteflies that carry the viruses that cause CMD. When this happens, farmers often use their savings to feed their children, depleting any funds that could otherwise be used for education or to meet other basic needs. To combat CMD the first step is to diagnose and detect the spread and severity of the disease. That’s what I’ll be doing in Tanzania. I’ll be part of a three-week field survey, working with scientists from Tanzania’s Mikocheni Agricultural Research Institute (MARI) to collect leaf and whitefly samples we can use to monitor disease type and progression. Most importantly, we will be talking to farmers, engaging in discussion about CMD and how it affects their crop. It will be a chance to learn and experience how one crop and one disease can change individual lives.